Companies affiliated with the business sector in Egypt made net profits of EGP 11.3 billion in the fiscal year 2017/18, with total earnings of EGP 18.5 billion reported by profitable companies and losses estimated at EGP 7.2 billion by the unprofitable ones, said Public Business Sector Minister Hisham Tawfik on Monday. Delivering the inaugural speech at the 'Influential Growth' annual conference, organised by the economic newspaper Hapi Journal, Minister Tawfik said that his ministry seeks to achieve sustainable development for the public business sector with a view to making a leap in the profits of its affiliate companies. The restructuring process of the business sector companies chiefly involves training cadres and honing skills in order to cope with the ongoing industrial development, the minister pointed said. He also shed light on the ministry's efforts to adopt the Enterprise Resource Planning (ERP) system, which is meant to plan and manage the resources of as many as 70 affiliate companies within 18 months. Meanwhile, Minister Tawfik reviewed the potential partnership opportunities with the private sector in the domains of transport, chemical industries, medicine along with textiles. Speaking about the partnership opportunities in the pharmaceutical field, the minister tackled the prospects of partnership in manufacturing new drugs that are not available in the local market. International companies are due to be invited for a tender meant to qualify the Egyptian Iron and Steel Company by boosting its production capacity to 1.2 million tonnes annually. 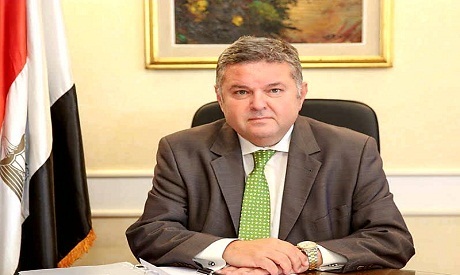 With total investments of EGP 25 billion, an all-out plan is underway to revive the textile sector, the minister said.